With the new food label regulations EU-1169 and the new Swiss CH-LKV, European food manufacturers must publish nutritional information about their products digitally and open to the public. This open data approach allows users and developers to tap into the nutritional components of groceries and to build new applications. 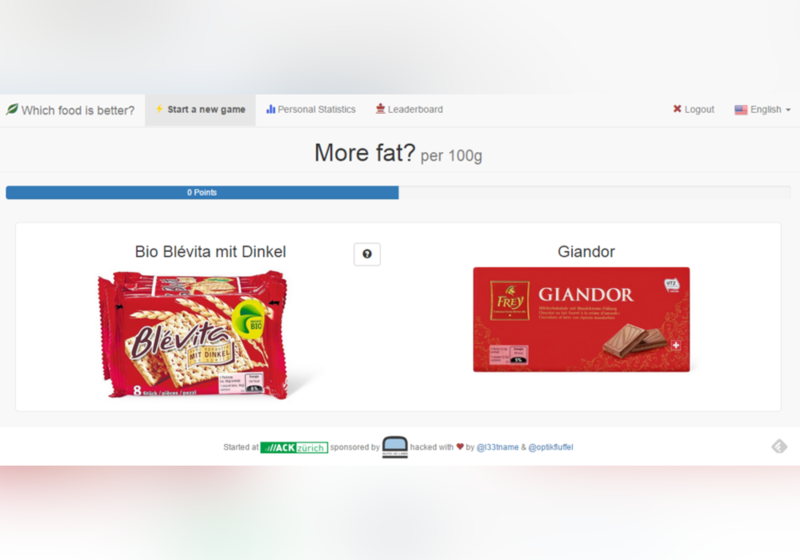 One example has been built at HackZurich 2014 and is a game the allows users to learn more about our daily eating habits by comparing two randomly chosen products.